With Father’s Day right around the corner, I wanted to come up with a fun idea for the kids at our church to give to their dads. We had 150+ kids, so I needed to come up with something that would work with a small budget, but also really cute & fun. I created a darling printable, and I’m in love with how it turned out. It’s perfect for one dad or 500! Isn’t it darling? I think the dads are going to love it! I’m going to have them each write a little note or draw a picture on the back to personalize it. So fun!! It’s incredibly easy to put together…just print, cut out, distress edges (if you want to), then use a piece of double stick tape to attach a Hershey kiss. I used Cookies ‘n Creme kisses, because the wrapper matched. ☺ The regular silver kisses would be cute too! I also made a printable including the word “kiss” at the end, so it could be used as a tag–or even as the front of a card. I filled an empty Crystal Light container (my FAVORITE for gift-giving!!!) with kisses, then tied the tag on with ribbon. Simple…and perfect! I was just wondering if there is any way to download the printable without having a Facebook account. Thanks. Thank you so much for sharing. Already have it changed so that my granddaughter can give it to my husband. I don’t have a facebook account. Can I still get the printables? Thank you so much for the cute things you do! You are a primary presidents dream come true. Thanks! 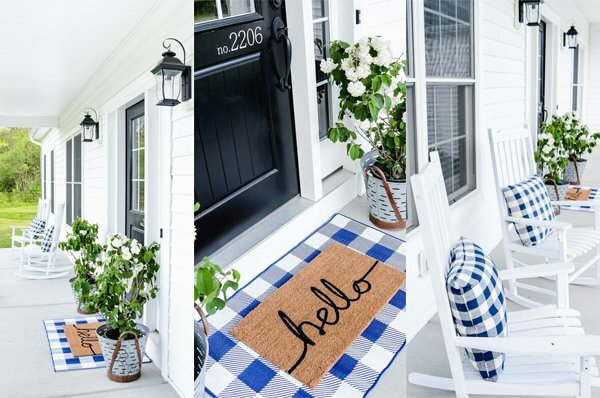 Kierste, Could I get your printables too? I am not on facebook. 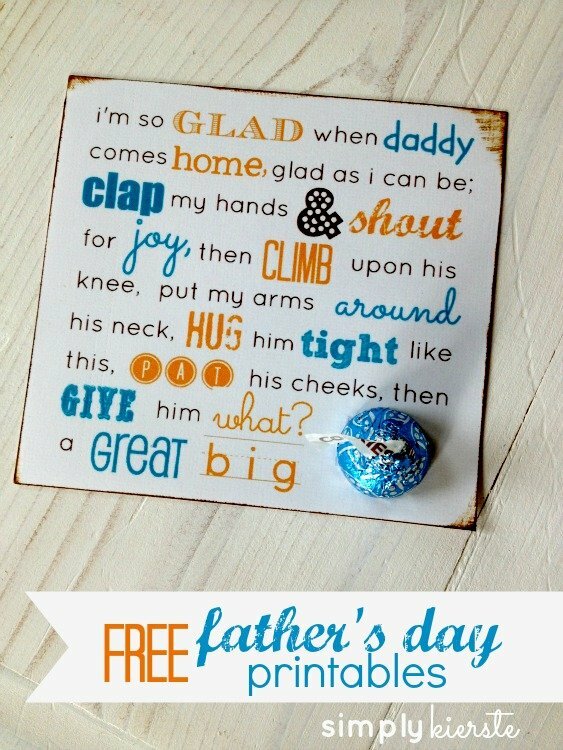 Could I also get the Father’s Day printables for the brown paper sack? I did the Mother’s Day brown paper sack project with my 2nd Grade class and they turned out so cute!!!! Thank you so much for sharing your wonderful ideas. I love them. I am in charge of the Father’s Day gift in our church. I’d like to use your cute printable, but I’d also like to give you credit. Do you have a version with your name on it? I don’t have one with it–I could barely get one to fit all the words on just right, lol. No worries–you can just spread the word. :) Thank you for asking, though!! I appreciate it! Ok, I just wanted to make sure! Thanks for the go ahead and I will be sure to pass your name along!! This is absolutely adorable! Would you please send me the files too? I can’t access them from Facebook. My e-mail is refusing to attach files right now, so I’ll try again later tonight!!! I just found your blog on Pinterest. So cute! Could you please email me the printables? Thank you! I’m doing printables through Facebook now! If you’re on FB, go to my page and click on “Free Printables”. If you’re not on FB, let me know!! YOU ARE A LIFESAVER!~ I had a BIG project planned for my Valiant class and had a Mission farewell last week! This is so perfect! Thank you thank you thank you! Hi Erin! The link to the printables is at the bottom of my post, and will go through Facebook. If you don’t have Facebook, please let me know!!! Will you please send me this printable too?? Thanks!!! I love your design. Its cute, simple, not over the top, but still has great sentiment. Thanks for sharing your great work! Thank you so much, Kristiana!!! Could I get the file in an email too please? Thank you!! i have Facebook but am unable to link to the printable. can you email me @ gttba@msn.com? thx! I need it in email form too! Thanks! Thank you for sharing this great printable! If you email it to people, does it come with the edging and not just the words? If so, can you please email it to me? Thank you! You can get distress ink at any hobby or scrapbook store (or should be). It’s about $5, and lasts a long time. I use mine often, and it’s lasted a couple of years!! I use it on a lot of projects–definitely one of my favorite craft items!! I would like to use this post in a roundup I am putting together. I would use a small picture in a collage and put a link to your post. Please let me know if this is something you are okay with! Thanks so much. Weird I never received it! Can you resend it!? I’m so sorry! I love this! Is there a way to have it print 2 on the right side so that it would be folded into a card with that on the outside? I’m having trouble with the software that the download had me sign up for, are you still able to email this cute printable to me? I would love to use it for my Primary kids. Thank you!!!! I just discovered your website today! I love your style and appreciate you sharing your creative talents with us! I noticed that you attached the files for the orange and turquoise cards above, thank you! I was wondering if you would be willing to share the blue and orange file (pictured above) as well? Hi, Amy–I’m so glad you found me! It’s funny—those are actually the same printable! It just printed like that for me when I did it, so I went with it. :) The color in my printer was off, so it made it look blue, not turquoise. I love the blue too, and I actually went to go quickly change the color of the text, when I realized I don’t have the original anymore–I believe it was with a group of files I lost when my hard drive crashed. I’m so sorry! I thought I should specify that I would love the tag printable file. We would like to give these to the men for Father’s Day at church. Thank you Kierste!!! I’m in charge of the Father’s Day cards in Primary this year and came across these on Pinterest. Can I just say….PERFECT!!! The Primary President wanted to give the dads Hershey’s Kisses, and the kids are singing THIS song on sacrament meeting ? If I could upload a picture to you I would. I found some little treat boxes at Dollar Tree that fit the tags exactly, and we’ll be using the card for a display at the treat table for all the rest of the men in the branch that don’t have Primary aged kids. Thanks for these! You’re awesome! !